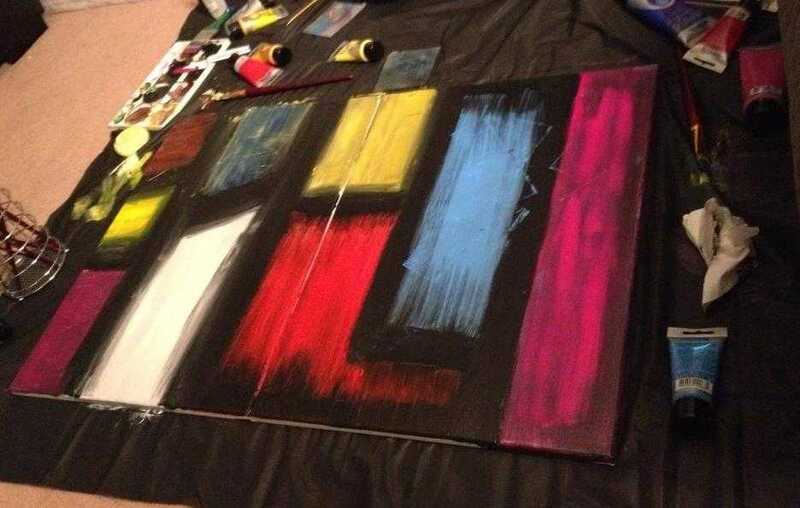 Sometimes the most therapeutic thing can be to grab a paintbrush and throw on some loud music. Art doesn’t always have to look good to everyone. That’s why abstract is one of my favorite types of art. 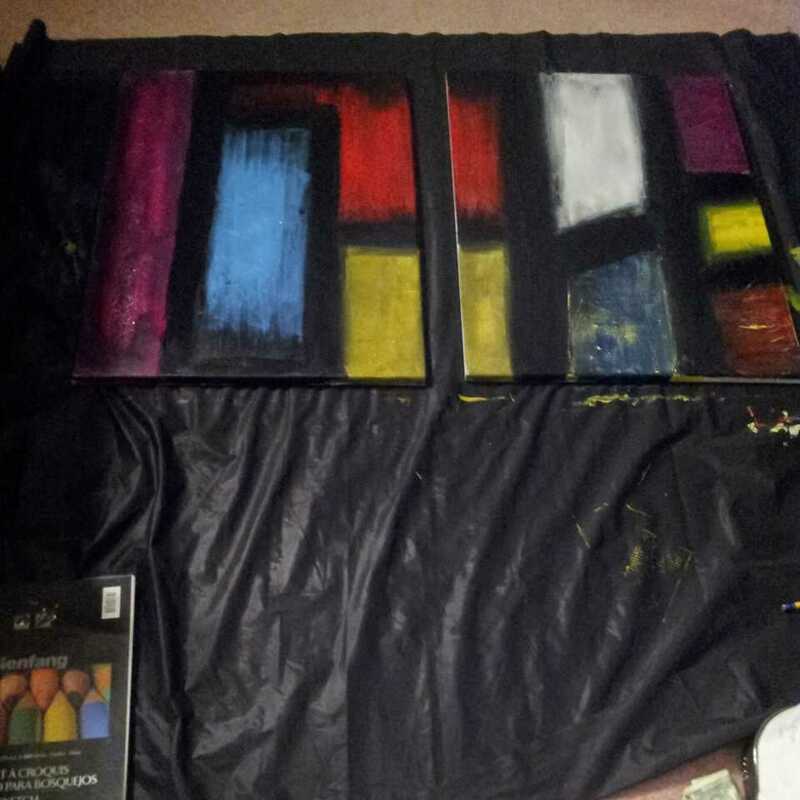 Today I’m going to show you the first random abstract multi-canvas I had ever done. I was in my room while my boyfriend was working overnight and I couldn’t sleep. I threw a table cloth on my floor along with a bunch of paint and two canvases because I was determined to make a multi-canvas for the first time, too. Unfortunately, I had no idea what I was going to paint on them. I threw on some headphones, said “the hell with it”, and just started blocking colors next to each other. I let some colors blend into the next. Some I mixed, others I didn’t. I tried adding texture to random boxes and left others flat. It was a mess. In my eyes almost everything looks better outlined. 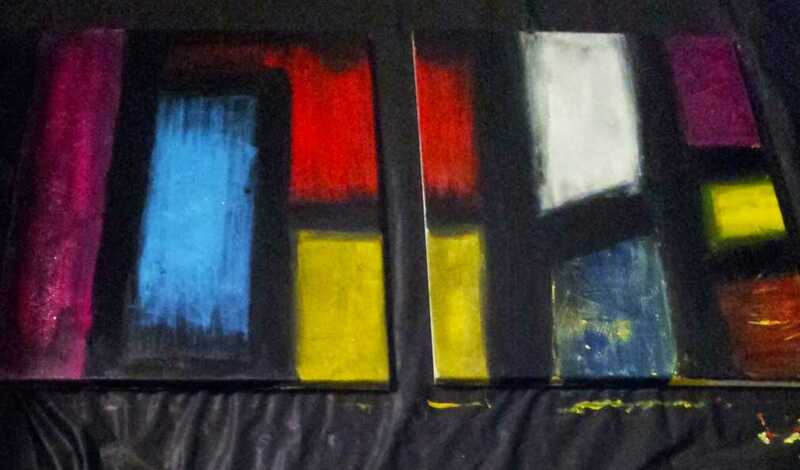 I took some black paint and with a thick paintbrush just started squaring out the boxes of colors. I misted water on certain spots and let the black run inside the colors. To be honest, I had no idea what I was doing. I just wanted something colorful and modern to show up in the end. I can’t even begin to tell you how much fun I had making this. When all was said and done I had posted pictures on my social media accounts and it gotten some attention. A friend of mine asked what I planned to do with the painting and I really had no plans for it because it was so spur of the moment. He asked if I would ship it to him and now this pretty piece of abstract art resides in the mean streets of Detroit. What do you think of my abstract art piece? What would you like to see me do in the future? Let me know in the comments below! Ken Salinas is an amazing artist and graphic designer residing in Austin, Texas. Ken’s drawings are so mesmerizing that he even had his own table at the Alamo City Comic Con a few weeks ago, which he was selling this exclusive piece – Wild Guardian Who.